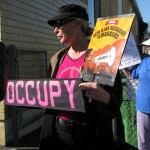 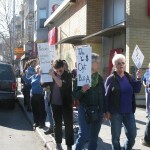 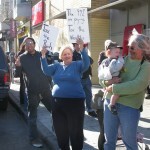 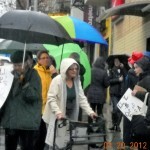 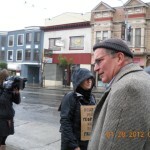 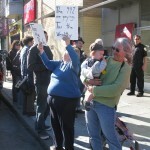 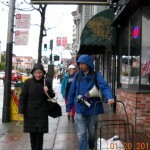 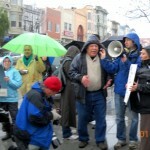 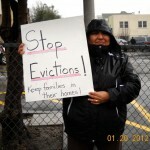 There is a planning meeting for Occupy Bernal in preparation for this action. 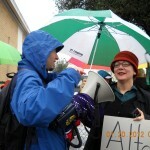 The planning meeting will occur on Thurs. 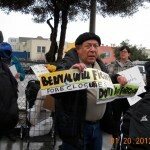 April 19 at 7 p.m at the Bernal Heights Neighborhood Center. 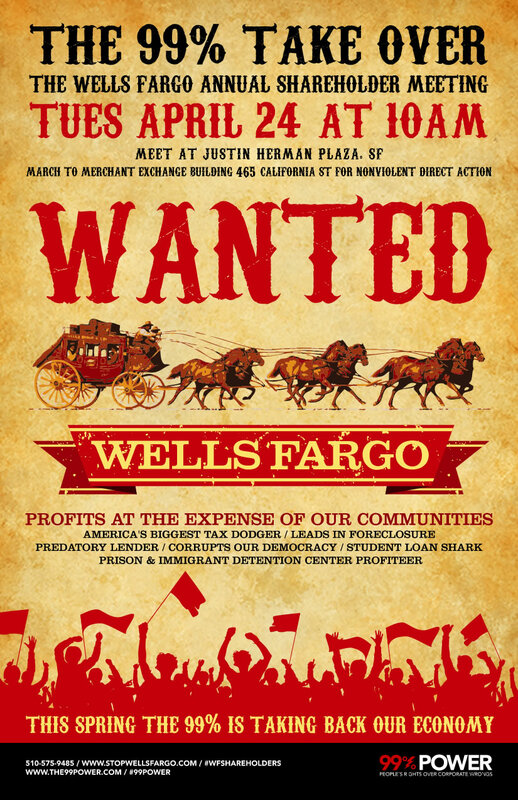 We’ll be be taking our demands directly to John Stumpf as part of a broad coalition of community, faith, labor, immigrant rights and movement organizations that is going to the Wells Fargo shareholders meeting on April 24, to fight for justice for homeowners and our communties. 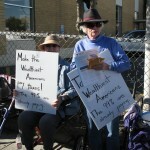 Be a part of the 99% takeover. 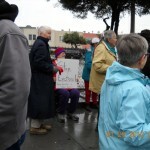 Join us on April 24th and tell John Stumpf that enough is enough! 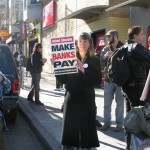 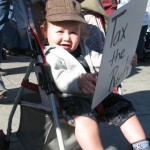 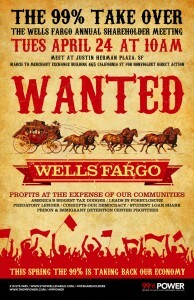 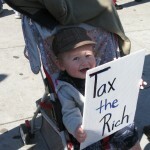 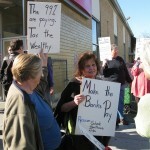 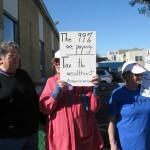 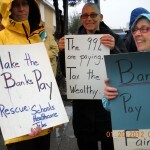 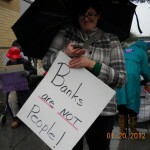 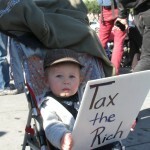 We are just ONE WEEK away from the 99% Takeover of Wells Fargo’s annual Shareholder’s meeting!!! 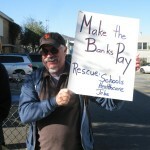 Thanks to the hard work and commitment of so many folks we have a very solid plan shaping up that will likely shake up the Bank that is breaking up communities, families and people’s future! 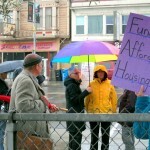 The final coalition planning meeting will be this Thursday, 4/19 from 5:30-7:30 @ Local 87’s office, 240 Golden Gate in SF just a few minutes from the Civic Center BART stop. 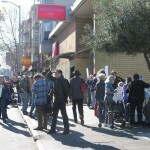 Occupy SF will be hosting one of the final Direct Action trainings for participating in non-violent direct action that will cover: risking arrest, role-playing actions, legal consequences and details of the April 24th action on Saturday April 21, 10am to 1pm in San Francisco. 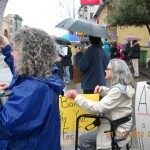 This will be followed by a mandatory training from 2:30-4:30pm for anyone who is committed to participating in non-violent direct action on the outside takeover. 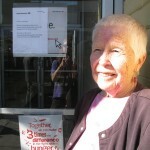 To attend please respond to this email for the location. 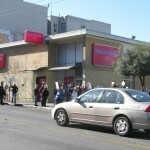 The inside action planning team will be holding a final training and meeting from 3-6pm for all of the fighters planning to be inside the meeting on the 24th in the event the meeting is not shut down. 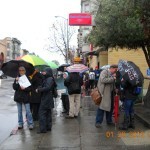 This training is for folks with proxies and share only and for more information, please email Marguerite Young. 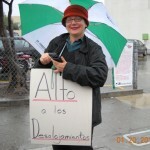 Marguerite.young@seiu.org. 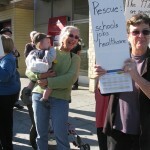 Please check out our great website courtesy of the folks @ Design Action! 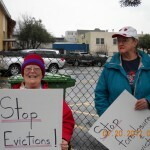 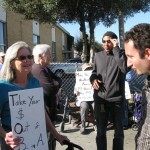 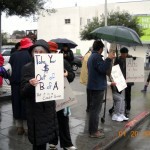 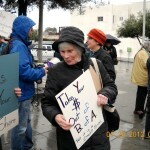 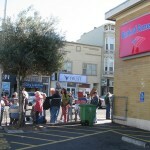 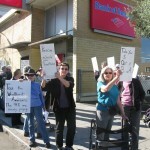 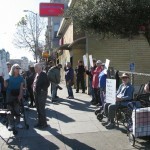 Once again about 40 protestors, led by the Wild Old Women (WOW) affinity group of Occupy Bernal, picketed a Bank of America branch at 3250 Mission St. today to protest for-profit evictions and foreclosures, as well as poor bank treatment of the elderly and the banks not paying their fair of taxes. 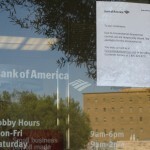 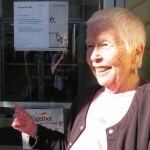 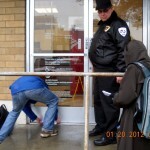 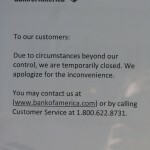 The B of A branch staff closed and locked both doors of the bank and posted a sign (see picture below). 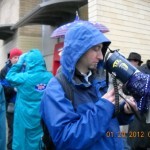 Thanks to the WOW for pulling this together! 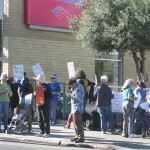 Join our neighbors in the Mission for a protest at 12:00 noon on Saturday, January 14, at the 16th Mission BART station plaza. 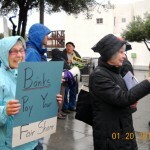 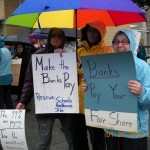 12:00-1:00pm, Thursday, January 12: Bank of America, 3250 Mission St. 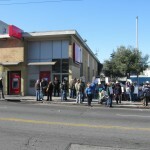 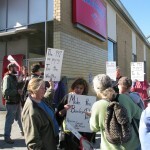 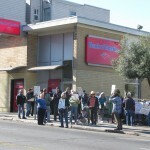 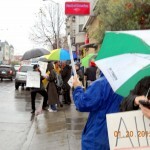 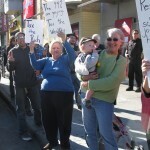 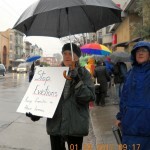 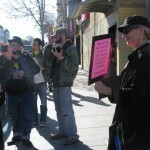 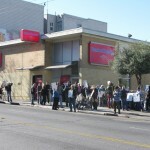 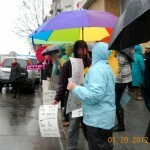 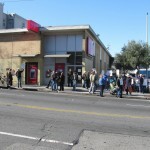 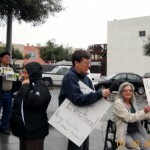 These protests follow on successful protests that shut down bank branches in Bernal on January 5 and the Excelsior on January 7.